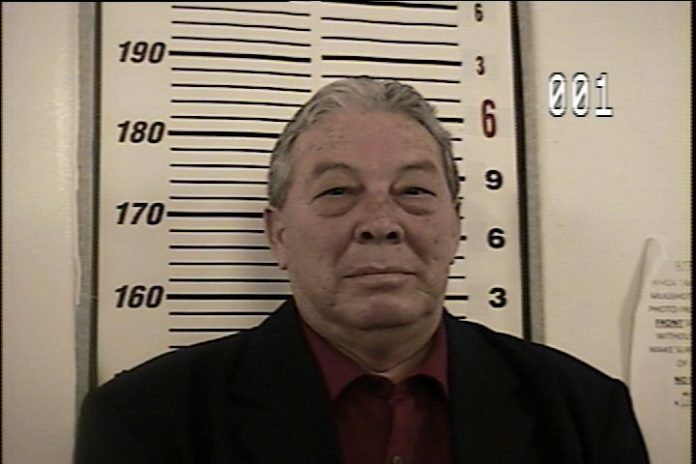 The Starr County justice of the peace who was convicted of bribery in 2016 was denied his appeal Wednesday. The Fourth Court of Appeals denied Precinct 3 JP Salvador Zarate Jr.’s motion to reverse his April 2016 conviction on two counts of bribery. Zarate was arrested in 2015 on allegations of accepting $500 to lower the bonds of two defendants. In his appeal, he stated there was lack of sufficient evidence, the trial court erred in denying his requested entrapment instruction, his lawyer had provided ineffective assistance, and that the court should not have required him to forfeit his tax refund as a condition of his probation and pay court costs in both bribery counts. Regarding the evidence, Zarate argued that state prosecutors “failed to produce any evidence of an agreement to accept or an acceptance of $500.00 cash” and that the state only presented evidence that he agreed to accept money to reduce the bond of one defendant but not the other. He also argued that because the indictment alleged Zarate received the bribe directly from the defendants, when the evidence showed he received the money from an undercover informant, he would be vulnerable to be prosecuted again for the same crime. However, the appellate court disagreed, stating they saw no danger of him being prosecuted again and concluded the evidence supports that he accepted money in exchange for reducing the bonds. In arguing entrapment, Zarate said he was “induced” to lower the bonds by the undercover informant who was working with law enforcement officials. The court, however, saw nothing in the record that indicated that Zarate was induced by the individual or by law enforcement to commit the offense. “In fact, all of the witnesses, and the video-recording offered before the jury, supported the State’s position that Zarate reduced the bonds for both Daisy and Harry Rich in anticipation of receiving the $500.00,” the opinion stated. As for the argument that he received ineffective assistance from his lawyer, the court found that his attorney’s failure to interview the defendants Daisy and Harry Rich — which Zarate argued would have disproven elements in the charges against him — did not make a difference in the case. “Because nothing in Daisy Rich’s affidavit or Harry Rich’s affidavit would have changed any of these facts, there is no reasonable probability that the outcome of the trial would have been different,” the court stated. The court’s decision is another blow to Zarate who lost his bid for re-election in the March Democratic Primary. Zarate was eligible to run again as his conviction was not yet final at that time. However, he had long not been actively serving in office since the State Commission on Judicial Conduct suspended him without pay in 2015 following his indictment. Eloy Zarate Jr., no relation, was appointed as temporary replacement and emerged victorious in the March primary. Upon being found guilty in 2016, Zarate was sentenced to five years probation and 30 days in the Starr County jail. Garza also ordered Zarate to vacate his office but the sentence was stayed when he filed his appeal. Attorneys for Zarate did not immediately respond to a request for comment and it remains unclear whether he will continue fighting his conviction.